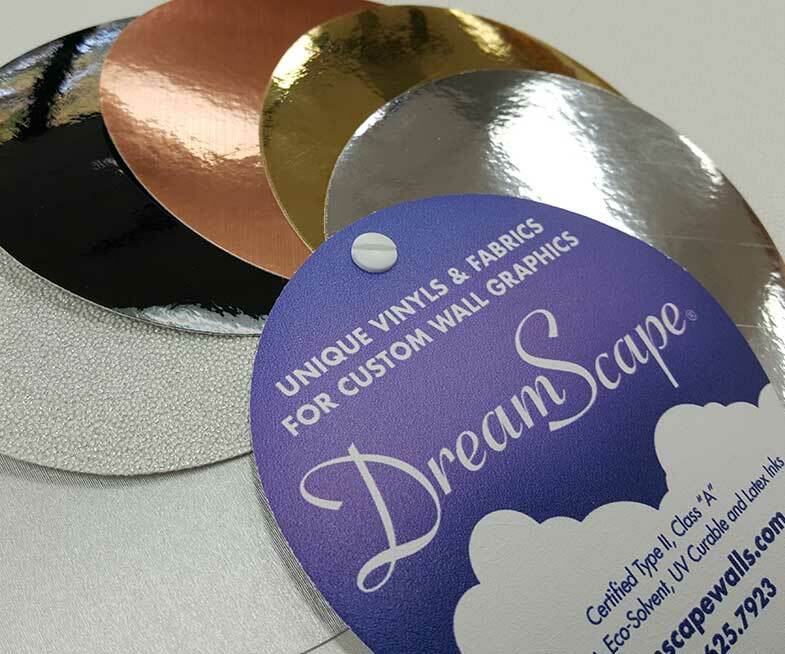 The DreamScape Large sample book is the perfect way to show your clients firsthand some of the exciting things that can be done on DreamScape wallcoverings! Arm your sales team with the right tools! 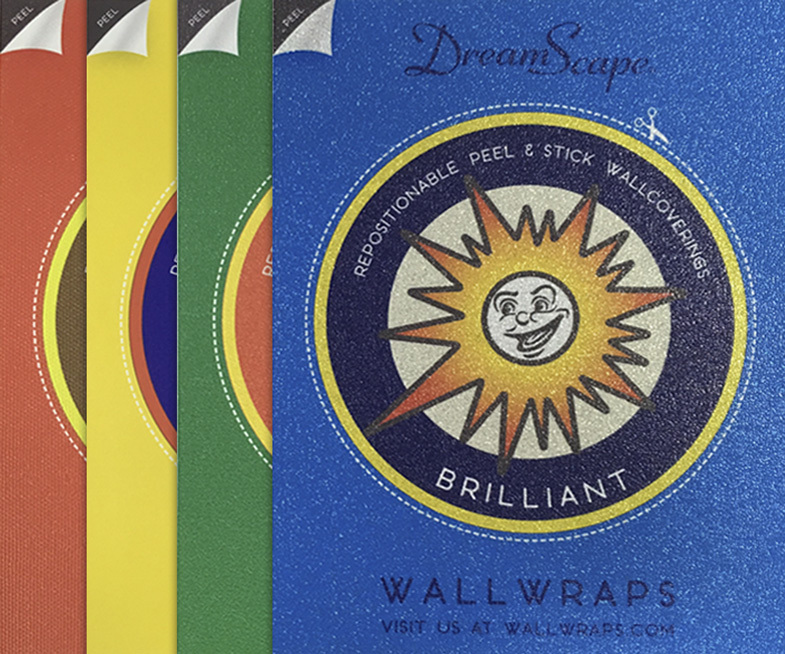 This sample print kit features eye catching graphics and designs printed on each unique DreamScape base material. 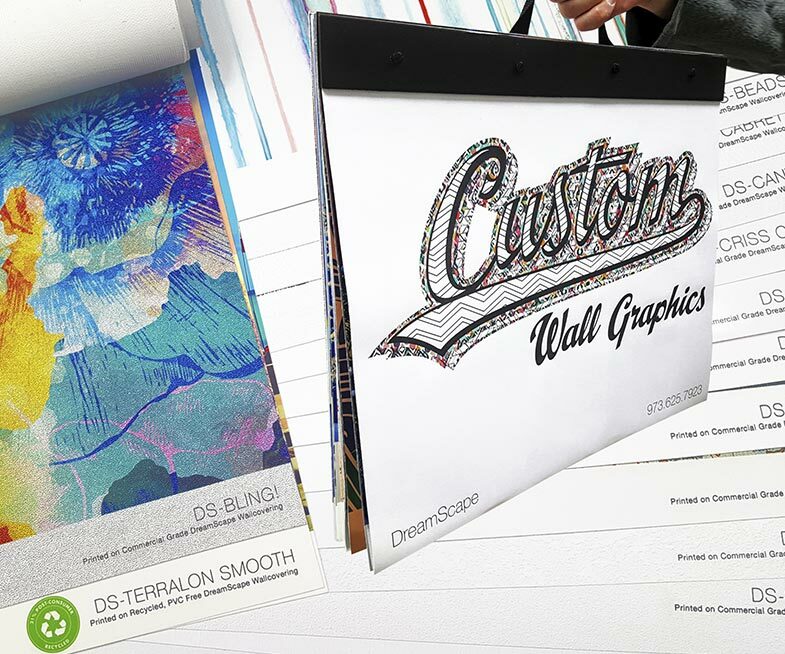 Inside are glorious examples of what can be done with digitally printed wall graphics. Its an invaluable tool for reviewing material options with your clients. ( WE CAN CUSTOMIZE THE COVER WITH YOUR COMPANY NAME AND CONTACT INFO, sorry no Logo’s ). If you select a custom cover option, we will contact you after receiving order to verify any contact information you want included. 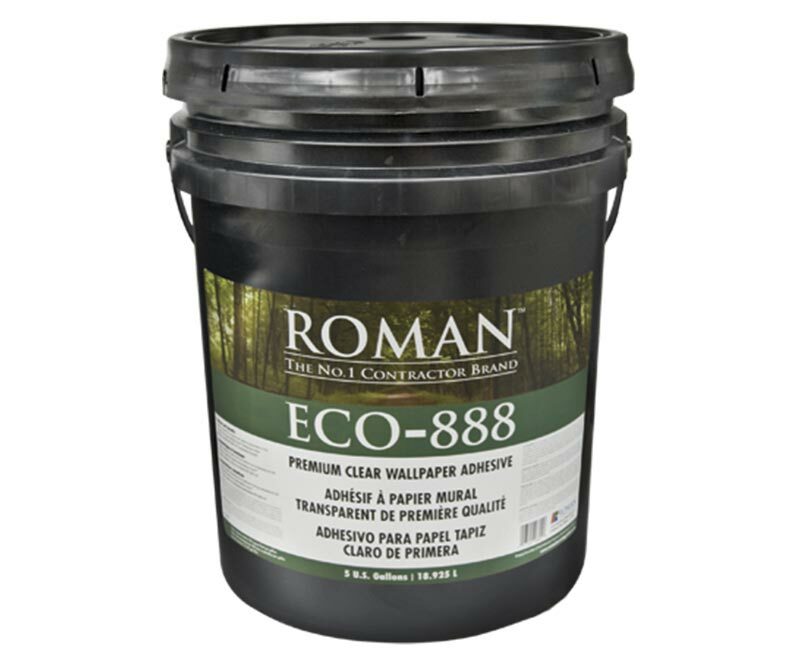 Looking for help promoting digitally printed wall graphics in your business? Check out this quick guide in our support portal.